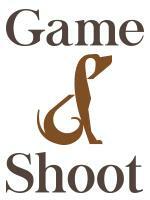 One of New England’s premier hunter/jumper show stables, specializing in sales and training. Our facility is located on 187 wooded acres with many features including 32 stalls, tack rooms, office, lounge, wash stalls with hot/cold water, laundry, indoor and outdoor riding arenas, derby field, multiple paddocks and pastures, and miles of manicured trails. We offer a wide variety of lesson and showing opportunities, as well as a fine selection of quality sport horses available for sale and lease.